Patricia Lynn Schmidt passed away Wednesday, June 20, 2018, at the age of 69, after a courageous nine month battle with terminal cancer. Pat was born on September 4, 1948, in Indianapolis IN, to Orville and Hazel Franklin. She met her husband, James “Jim” Schmidt, in Colorado Springs, CO and were married October 14, 1967 before settling back in Indiana. Pat started her career in Marketing and Customer Service in 1978 at Potter & Brumfield. Over 22 years, she worked her way up become the Manager of Customer Service. 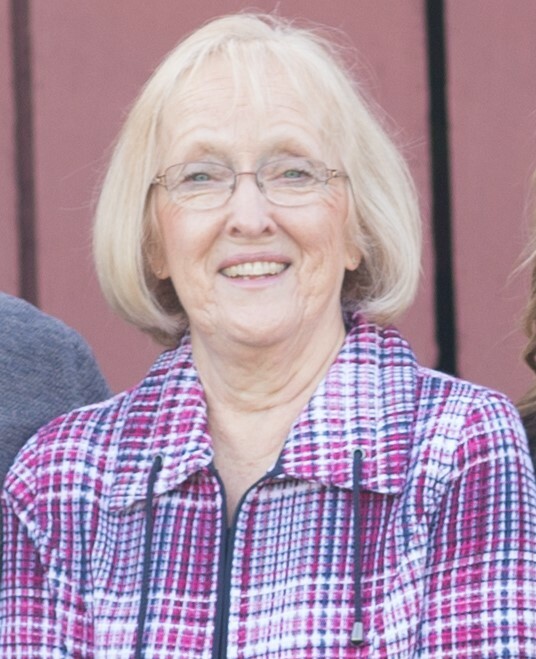 From there, she became a Marketing Analyst and Product Specialist at Tyco Electronics, followed by her return to Customer Service Management at AEP Industries, Inc. Pat is best remembered by her family for her strength, inner fortitude, kindness and generosity, and especially the love of her grandchildren. Pat was preceded in death by her father, Orville Franklin. She is survived by her mother Hazel Franklin, husband of 50 years, Jim Schmidt, her three children, Ron Schmidt, Eric (Amanda) Schmidt, and Jamie (Joey) Kiesel, and by her sisters Linda Angel, Barb Glab, and Kathy Nation. She is also survived by her nine grandchildren, Karina, Amanda, Koy, Dean, Nate, Landon, Luke, Elizabeth, and Emma. A Mass of Christian Burial will be Monday June 25th at 2:00 pm at Sts. Peter and Paul Catholic Church in Haubstadt, IN. Visitation will be Sunday, June 24th from 2:00 pm to 8:00 pm at the Stodghill Funeral Home in Fort Branch, IN and from 1:00 pm until service time at the church Monday. A rosary will be recited at 1:30 pm Sunday at the funeral home. In lieu of flowers, donations can be made to Sts. Peter and Paul Church. Thanks to North River Health Campus and Heritage Hospice for their care.